It’s hard to meet men nowadays. There are plenty of dating apps but there’s nothing like making a connection in person. 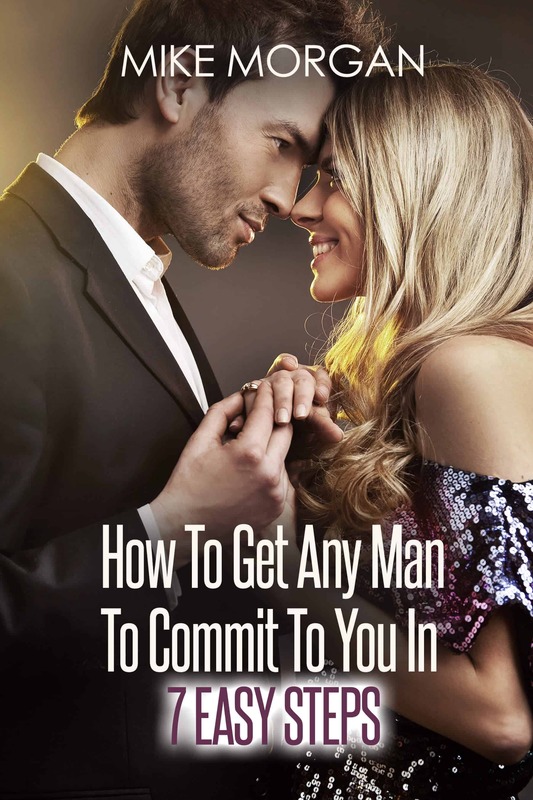 Knowing where to meet men can help you find that person you have instant chemistry with. Because that says a lot more than you think. Online, all you really have is a picture and profile to go off of. There’s something special about seeing someone in person and letting your natural chemistry tell you how you feel. But in order to find Mr. Right and make him want you, you’ll have to figure out where he’s hanging out. These are some places you can meet great men that you may not have thought of before. You probably already know about this one. You head out on a Saturday night with your friends only to be hit on in grotesque and crude manners. That means you probably lost hope in bars but they’re actually great places to meet guys. The trick is knowing which ones to go to. Your best bet is to head to a sport’s bar that serves food during a game. You can catch some great guys during commercials and afterward. Most of us hit the grocery store on a mission. We have a list and we want to get everything on it and just go home. I get that it can be annoying to spend more time than necessary at a grocery store, but if you take your eyes off your list for one minute, you might find they wander to a handsome man deciding between brands of cereal. The point is that single men do the grocery shopping on their own. You can easily find a cute guy and strike up a conversation about something in his cart or around the store. There aren’t too many out there anymore, but they do still exist. As much as you might love Netflix or even streaming something else online, go to your local movie store if you have one. You might just find someone great looking for a movie to watch. The bonus? You can see right away if you have something in common by the movie he’s picking out. This is similar to the movie store. You can go pick out a book and potentially pick up a date too. You’ll also be able to start a conversation pretty easily when you’re in a bookstore. There are plenty of things to talk about. See just how much he knows about books and how much you have in common by his author choices. Not all men who visit coffee shops alone are single. However, you never truly know unless you say something. This is a great place to meet men simply because the ambiance is soothing. It’s easy to wave to him from across the shop and even buy him a scone if you really want to impress him. This might be an intimidating place to meet guys, but it’s also a smart one. They’re everywhere. And for some reason, guys love to hit on women in the gym. All you have to do is make eye contact and smile. If that doesn’t work, wave him over or have him spot you during a set of lifts. He’ll be more than happy to help and you might just get a date out of it. It’s hard to show up to a party single. People always want to have someone to chat with and look less alone with. But go anyway. I know your couch and pajamas might be more enticing late on a Friday night, but what if you meet someone incredible? The best part about meeting a guy at parties is that he’s usually a mutual friend. That means your friends have already deemed him cool enough to be in the group and that looks good for you. So get out and start flirting with a hottie! If you want a place where men are crawling at the chance to help you, this is where to go. You’ll find it extremely easy to get a guy to talk to you. Obviously, you have to be at least a little into golf and have some clubs with you. Even if you have a car, take the bus or a train to work. You can even just take one for fun and see if you meet someone. There are plenty of people who use public transportation as a means of travel and you’re missing out on meeting men if you aren’t hopping on one of these occasionally. Another perfect place to pick up a guy. Head into the men’s section and see if you can spot someone cute. You can give your opinion on a shirt they clearly can’t make up their mind about and strike up a conversation from there. Guys who are clothes shopping will be thankful for your help. Guys who have dogs are clearly superior to non-dog owning men. You already have something in common if you both have a dog. You can get your dog to play with theirs or just throw a toy in their direction. It gives you a perfect excuse to head over and start talking to him. This one is really a no-brainer. Just be prepared to hear him get loud and a little rowdy. Otherwise, this is one of the best places to meet a guy. If you don’t like the sporty type, skip this one. If you have a love for sun and want someone who feels just the same, hit up a beach or the local pool. You not only get a sneak peek of what they look like without clothes on, but you can also offer an adult refreshment to break the ice. Get out of your comfort zone and you just might meet an amazing guy. Take your friends and go out for a night of yummy tastings. You’re bound to run into a single guy or two…or many. And since you’ll be drinking a bit, your nerves will be settled and it’ll be easier to chat with him than if you’re a nervous wreck. The brainy type of guy will hang out here. Although it’s not usually common for people to hang out at these places alone, you might just get lucky. If you meet someone, you’ll already know they share an interest for art or history. Finding the right guy nowadays isn’t all that easy. But when you know where to meet men, that’s made a whole lot easier. Keep your head up and eyes alert. You might just find someone special in your everyday life. Before you head out, don’t forget to prepare some Obsession Phrases. And then watch how his eyes change when you speak some of these special words.